Special counsel Robert Mueller’s investigation found no evidence President Donald Trump, his campaign or associates conspired or coordinated with Russia to interfere in the 2016 presidential election, according to a summary released Sunday by Attorney General William Barr. “While this report does not conclude that the president committed a crime, it also does not exonerate him,” Mueller wrote, according to Barr. Barr handed over to Congress his main conclusions and summary of the long-awaited Muller report. Mueller spent 22 months looking into whether Trump’s campaign colluded with the Russians and if the president obstructed justice by trying to stop the investigation. Barr and his aides spent hours Saturday poring over the report Mueller handed them late Friday. 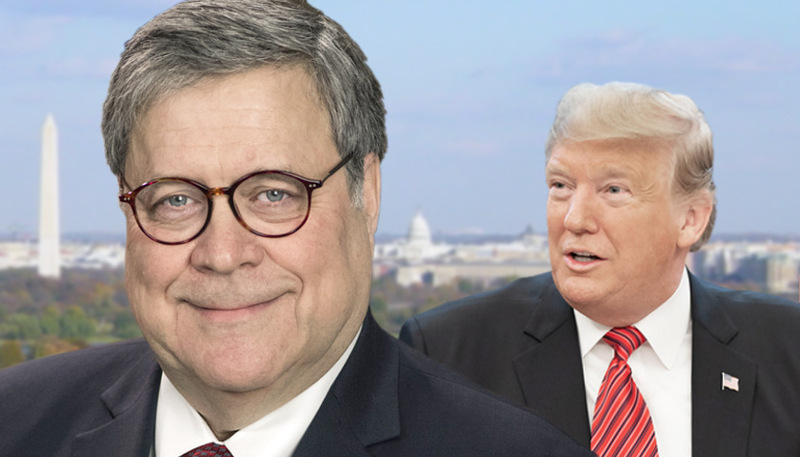 Key lawmakers, opposition Democrats and some of Trump’s Republican allies, have all called for release of the full report, but it is not clear whether Barr will do so. Trump said last week he did not object to the full release to the public but also has said it is up to Barr, whom he appointed as the country’s top law enforcement official, to decide how much of it is disclosed. White House aides say Trump has not been briefed on the outcome of Mueller’s investigation, a probe that has clouded almost the entirety of his 26-month presidency. The U.S. leader has dozens of times derided Mueller’s investigation as unwarranted and a “witch hunt,” while rejecting accusations that he colluded with Russia or that he tried to thwart the probe. White House aides were relieved to learn one aspect of Mueller’s conclusions, that he was not recommending any further indictments that might have ensnared White House officials or Trump family members. Mueller has already secured guilty pleas or convictions from five key figures in Trump’s orbit and indicted a sixth for a variety of offenses, including some for lying about their contacts with Russia during the election campaign or just before Trump took office in January 2017. Trump’s one-time personal attorney, Michael Cohen, has been ordered to prison to start a three-year term in May for financial crimes and lying to Congress about Trump’s efforts to build a Trump Tower in Moscow. Former campaign manager Paul Manafort has already been imprisoned for a 7 1/2-year term for financial crimes related to his long-time lobbying efforts for pro-Russian interests in Ukraine. Trump’s first national security adviser, Michael Flynn, pleaded guilty to lying about his contacts just before Trump took office with Russia’s then-ambassador to Washington. Under long-standing Justice Department policy, U.S. presidents cannot be indicted while serving in office, but can face charges once they leave office. Trump’s term in the White House ends in January 2021, but he is running for re-election next year for another four-year term. If the full Mueller report, and underlying investigative evidence, is not turned over to Congress, Democrats who control the House have vowed to subpoena it and possibly call Mueller to testify about his findings. Some lawmakers have called for Trump’s impeachment, but top leaders cautioned that any possible impeachment proceedings should wait until Mueller’s conclusions are known. Democratic presidential hopefuls also joined the chorus of calls for the report’s release. Mueller, a former director of the Federal Bureau of Investigation, has won wide acclaim in Washington for his impartiality, but his report is landing at a time of widespread political division in the United States, with polls showing a sharp split among Americans about Trump’s performance in office and whether he should be re-elected. More than a dozen Democrats are seeking their party’s nomination to oppose him in the November 2020 election. Any negative conclusions drawn by Mueller are sure to become a key talking point to voters to oust Trump after a single term in the White House.